By now, many of you have likely seen the new Universe section for Halo Waypoint and the Halo Channel, where fans both seasoned and new can get more information on major players in the Halo fiction. One of the driving forces behind this venture is to give fans new ways to see Halo as one larger, connected experience. Halo fans have a wealth of ways to experience the underlying story of Halo, and while some find their home in the games, others find themselves drawn to other mediums, such as novels, comics, or live-action pieces. We are positioning the Universe section so that it can help connect all these various experiences, from the Fall of Reach to Forward Unto Dawn, from Combat Evolved to Contact Harvest. Needless to say, it's been incredibly exciting for us to finally be able to share this encyclopedic feature with all of you, and we wanted to take a few minutes to talk about some of the plans we've got for growing the content both now and in the future. The word "growth" is important to focus on here. 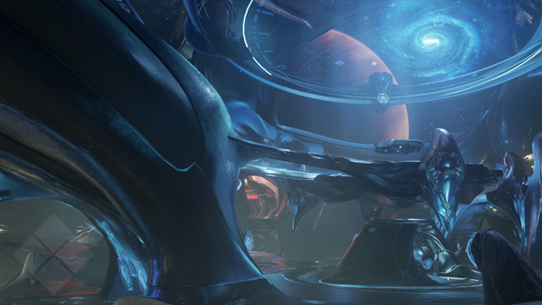 Halo’s universe is absolutely massive, and giving the rich palette of characters, worlds, and technology the care and attention they deserve is something that takes time and planning. Very soon you will begin to see the stable of content grow through regular updates and additions. Through it all, you can be confident in knowing that we adore this universe just as much as you do, and are excited to create and grow new ways for this incredible community to experience it all. The feature you are reading right now is just one of those ways we are looking to bring you more fiction and narrative content. After a successful stint as part of the Halo Bulletin, Canon Fodder is now being spun off into its own blog! Each week, we'll be bringing you various glimpses into the vast Halo narrative, from highlighting new Universe articles to deep dives into some of the more hidden corners of the fiction. We'll also be bringing you insight into some of the creative processes that go into both crafting and curating an ever-expanding universe across multiple mediums. We hope that fiction fans will find the Universe section of HaloWaypoint.com and the Halo Channel to be a place where you can dig deeper into the Halo lore, even when exploring subjects you might think you already know everything about! Keen-eyed fans have already spotted some of the brand new information we've begun seeding into various entries, from finding out Fred-104's full name to the reveal of the Arbiter's Sangheili faction. Looking for more details on vehicle and weapon variants? 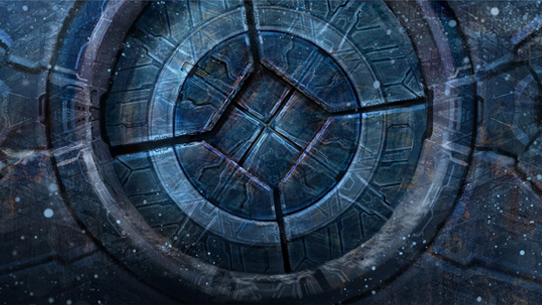 Want to learn more about the Yonhet, the new species introduced in Halo: Nightfall? We've got you covered. As time rolls on, we'll be adding and updating more and more entries and information, from factions and locations to technology and timeline events. It's our hope that each one of you in the faithful and fervent Halo community will come along for the ride as we aim to make 2015 Halo's best and most exciting year ever. Until next week... Live well, play Halo, and never bring a curveblade to a fuel rod fight. The Covenant Wraith is an armored mortar tank, created to besiege enemy positions with an unrelenting firepower. The Scorpion is the UNSC’s main battle tank, with an extraordinary track record of success across dozens of planets and hundreds of battlefields. The Fist of Rukt is a gravity hammer distinct from all others. It is the precursor of all contemporary Covenant gravity hammers. 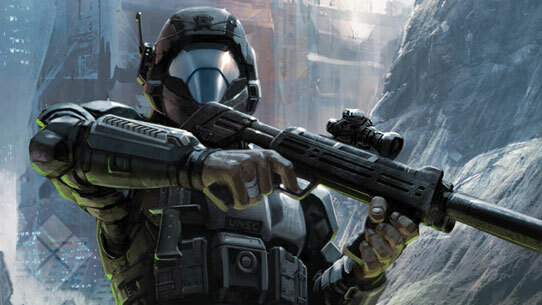 This week in Canon Fodder, fiction fans fly feet first into a brand new addition to the Halo story and get a first look from the author himself. Plus, five new weapon entries have been added to the Universe section for your viewing pleasure! This week in Canon Fodder, get a deeper understanding of the meaning behind the maps of the Halo 5: Guardians Multiplayer Beta. Plus, new entries in the Universe section!